You can order some of Jane's books from Amazon.com by following these links. Jane's "we've lost track of the number" Gregor Demarkian novel is Living Witness. 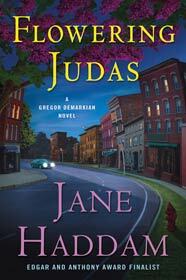 Entertainment Weekly liked Jane's Gregor Demarkian novel, Cheating at Solitaire. Deadly Beloved (Reprinted August 1998) - A Wedding Mystery. 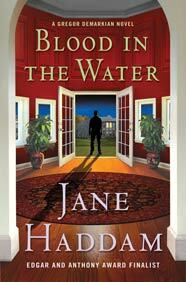 Jane has also published several thrillers as Orania Papazoglou. Jane is one of the contributors to “Canine Christmas,” edited by Jeff Marks. The dog in her story “Midnight Clear” is a Samoyed.